Social Media is like a success mantra for any small Businesses or Startups. Nowadays, people learn more about new products/services from their social feeds. However, every social media platforms are not the same. For an example, an ad performs well on Facebook may not perform well on Twitter. That’s why it’s very important to understand each platform so that you can plan a different content strategy for all the platforms. For learning social media marketing, you don’t have to clear any business degree. Instead, you can learn complete course online. Here I’m sharing four online platforms where you can start learning about Social Media Marketing. Coursera is a group of massive open online courses (MOOC) from top Universities like Yale University and Stanford. This platform provides free membership but for some courses, you have to pay some amount. In this platform, you also have the option to pay for the certification that indicates your completion of course successfully. Lynda is an online learning platform by LinkedIn. Lynda provides video course from expert teachers that can be viewed on any device. The membership of this platform starts from $19.99 per month, which provides you to complete access to all of the site’s content. This site offers a diverse range of online courses in every field of education such as Engineering, Business, Marketing, photography, etc. This platform offers free membership for 30 days and after completion of the trial period, you can select the plan between basic or premium. Udemy is the leading Marketplace for learning and teaching online. This platform offers a library of around 65k courses taught by expert instructors. All the instructors are industry leaders. One of the best things about learning on Udemy is that you can access your courses from several devices & platforms such as Laptop/ desktop, Android & IOS mobile app, and Apple TV app. In this platform, you pay for each course individually instead of buying the monthly subscription. 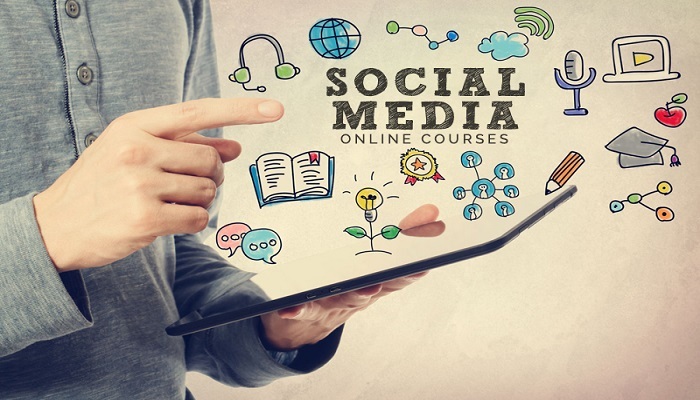 You can easily find several courses related to Social Media Marketing and many of the courses are under $20. SkillShare is an online learning community which offers thousands of courses in different categories like Business Study, Marketing, Technology, and many more. This platform slightly differs from above-mentioned websites, in short, anyone can submit a course on SkillShare. For an example, Brian Peters, the digital marketing strategist at Buffer, offers his own Introduction to Social Media Strategy course. This platform offers a free membership, but some content/courses are available for premium membership, which costs $15 per month.